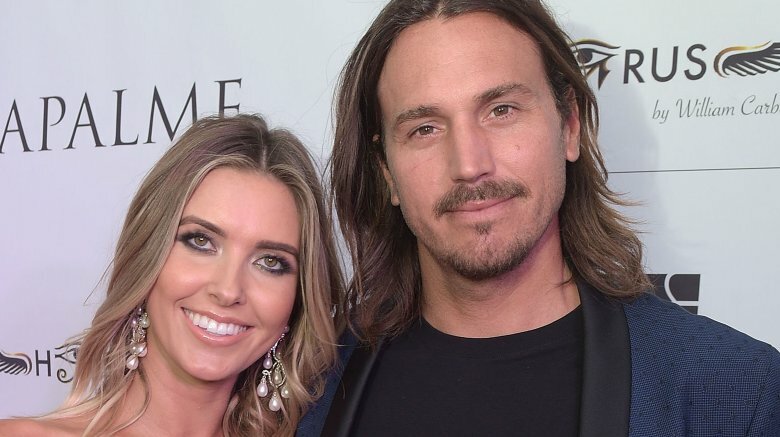 The Hills' Audrina Patridge and her estranged husband, Corey Bohan, are officially over. E! News reports that Patridge and Bohan have finalized their divorce over a year after the reality TV star first filed for divorce from the BMX dirt bike rider. "Marital status is terminated and property issues resolved," Patridge's attorney revealed to the celebrity news site. "The parties are participating in mediation early next year to resolve child custody and Corey's request for attorney fees." According to E! News, a "judgement of dissolution was entered" in the former couple's divorce case on Dec. 19, 2018. Patridge and Bohan had previously gotten engaged in November 2015, after years of dating on and off since 2008, as reported by People. They later welcomed daughter Kirra Max in June 2016, before marrying the following November. However, it wouldn't be long before Patridge and Bohan found trouble in paradise. Before the two had even been married a year, Patridge filed for divorce (via E! News). Days earlier, she'd requested a temporary restraining order and a child abduction prevention order against Bohan. A source told People at the time, "Over the years Audrina has had many instances where she's been scared [by Corey] but she finally felt she couldn't deal with the emotional abuse and fear any longer." The insider continued, "She realized that she needed to end things for good. She got the restraining order because she was afraid how he would retaliate when she filed for divorce, so she had to get some additional protection." Patridge reportedly has full physical and legal custody of their 2-year-old child (via People). She and Bohan are scheduled to meet for mediation on Jan. 15, 2019. After she and Bohan separated, Patridge reportedly started dating her ex-boyfriend, singer Ryan Cabrera, by April 2018. However, the pair split after being together for about five months.